This is the first in a series of blogs about favorite running spots. The spots where no matter how slow of a pace we did or how bad it felt...it is always a good run because we're in our favorite spot. If you have a favorite spot that you would like to share please e-mail me by clicking HERE. The Philippine’s Department of Tourism’s new tagline “Its more fun in the Philippines” has been trending in the travel and cyber scene for the past days since its launch. Many have re-stated it (both positively and negatively) and have bloomed into different meanings and uses. 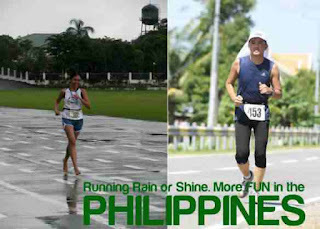 So I thought of something to re-stated it in connection to promoting our beloved country, through running outdoors. Running outdoors is more fun in the Philippines simply because our country has a complete venue for running. Anywhere you go, you can always run, depending on your preference. The subdivision where you live for one is an option. 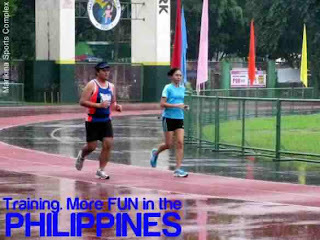 Running with your neighbors, buddies, kids or dogs and kumares in the morning with a little early showbiz news on the side. Visit your nearest City Sports parks. Run the Oval, it may be as boring as running the treadmill but at least air is fresher and you see different people and things. Public parks are also designed to be runner-friendly these days, take advantage of that as well. Bored running like a hamster? Go out the subdivision and hit the roads. Just be careful with the public and private vehicles. One tip is go against the flow of traffic to make sure you see what is coming. Make sure to use the pedestrian walks for your own safety. When running at night make sure to have reflective belts, bracelets, or blinkers and headlights to signal your coming and to light your way. Hydration or food is never a problem on the road because there are a lot of convenient stores around. Feeling competitive? 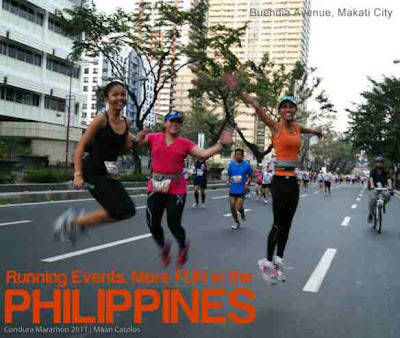 There’s a booming running event called ULTRAMARATHON. Running beyond 42 Kilometers usually held in the roads of Provinces like Northern Luzon, Cebu, Davao and a lot more. Check out Bald Runner‘s Schedule of events or sir Jonel Mendoza for his line up this year. Want a safer run on the road? Register and join the weekly races. These races are organized and secured from vehicular traffics. If in personal running on the road you make way for these private cars, in the running events, you’re the boss, they (cars) wait until the last runner in the pack gets to cross the intersections. Hydration and sometimes bananas are given out along the way. You’re rewarded often times with finishers medals and perks as part of the payment you doled out. You get to experience running the roads you never imagined yourself running before like the major Flyovers and Skyways (soon the Expressways, maybe, who knows?). Scared of the fast running cars and buses in Metro streets? Want more adventure? 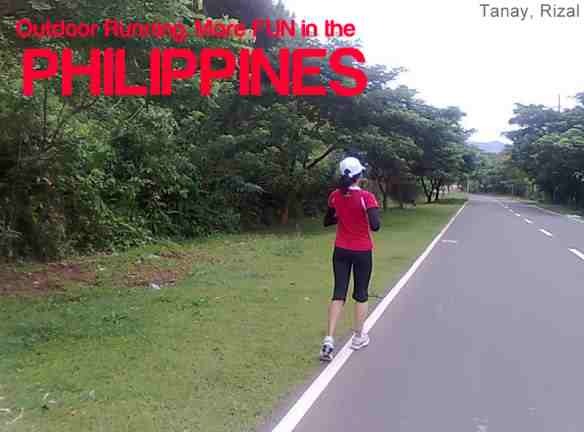 Run on the countrysides or provinces. 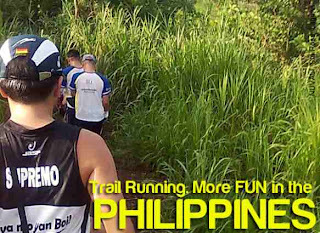 These areas are more challenging in the sense that they have hills and trails to train with. If you live nearby these areas good for you. One advantage of running here is you breathe fresher air. The only concern here is your food and hydration. You might need to bring a bag pack of supply of power bars to munch along the way and water supply in case you’re not used to drinking local potable water. On beach vacation? No problem! 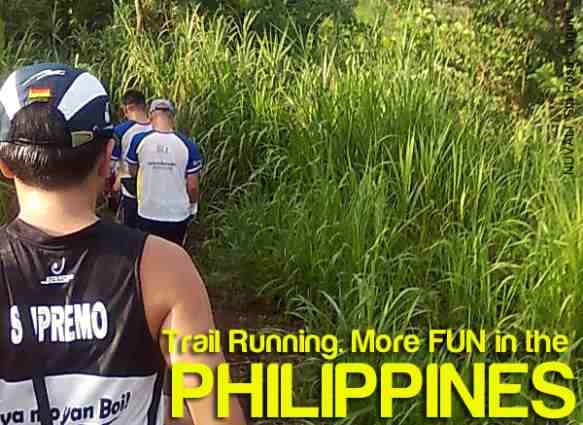 Running on the beach is fun in the Philippines as well! Run barefoot for a feel good experience. Let the fine sand of Philippine beaches massage the soles of your tired feet. After running the two ends of the beach-line you can dive in the waters for a cool down. 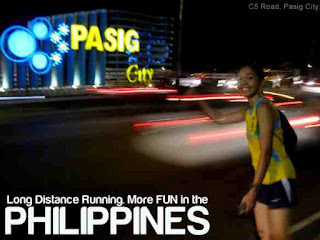 My wife is from the Philippines, and I have ran there before in 07. I plan to go back in 2013 and it's on my plans to run the BDM 102k. Thanks for sharing, for the PH has a lot of cool places to run.